buy & sell & evaluate domain names! Have a premium domain name to sell? Let us help you get top dollar for your IP asset. Wanna buy a domain name for your great brand? We can advise, locate, acquire the perfect one. Need help in understanding the value of your domain name? Contact Us Today! THIS EXCLUSIVE DOMAIN BROKERAGE AGREEMENT (this “AGREEMENT”) is entered into the date & time and submission of web form is completed by signee hereinafter referred to as “SELLER”), and NiceNIC.NET, a Hong Kong Limited Liability Company (hereinafter referred to as “BROKER”) (SELLER and BROKER each a “Party” and may be collectively referred to as the “Parties”). 1.TERM OF THE AGREEMENT: SELLER grants BROKER the exclusive right and authority to sell the DOMAINS for six months from contract date (the “Exclusive Sale Period”). If at least one DOMAIN is sold within the initial Exclusive Sale Period, then the Exclusive Sale Period shall be extended for an additional 4 months if by mutual agreement by both parties. 2.EXCLUSIVITY: During the Exclusive Sale Period, SELLER agrees not to use, appoint or engage any person or entity other than BROKER to act as its agent, sales representative or in a similar capacity with respect to the DOMAINS during the term of this AGREEMENT. In the event that SELLER sells or markets the DOMAINS directly to a buyer or through any person or entity other than BROKER during the term of this AGREEMENT, BROKER shall be entitled to receive the Fee (as hereinafter defined). Notwithstanding the foregoing, BROKER acknowledges that SELLER is attempting to sell a portfolio of domains that may include some or all of the DOMAINS, and BROKER agrees that a sale of a portfolio of domains will not entitle BROKER to a Fee under this AGREEMENT, whether the portfolio is sold by SELLER or by a representative of SELLER on SELLER's behalf. 3.NON CIRCUMVENTION: In addition to any other rights BROKER may have, during the term of this AGREEMENT and for a period of one (1) year following the termination of this AGREEMENT, SELLER shall not, directly or indirectly:Make contact or attempt to make contact, solicit or attempt to solicit, negotiate or attempt to negotiate, enter into or attempt to enter into any AGREEMENT, and/or transact or attempt to transact any business with any potential purchaser (or such purchaser's attorneys, agents (other than BROKER), representatives, employees, officers, directors, principals, owners, shareholders, members, managers or any person or entity that is connected, directly or indirectly, with such purchaser) exclusively procured by or first introduced to SELLER by BROKER in respect of the DOMAINS, except to the extent such contact is through, or with the prior written consent of BROKER; and Commit any other acts, directly or indirectly, which would affect in any way whatsoever, circumvent the restrictive covenant stated in subparagraph 3(a) immediately above. In the event that SELLER violates the provisions of Section 3(a) or (b), BROKER shall be entitled to receive the Fee (as hereinafter defined). For clarity, Section 3(a), 3(b) and 3(c) above shall only apply to the DOMAINS. 4.BROKER COMPENSATION: a.SELLER agrees to pay BROKER a fee for each or any DOMAINS sold (the “Fee”) equal to twenty percent (20%) of the Total Sales Price (net of sales tax and direct expenses, including, but not limited to, escrow fees and expenses under Section 6, below) received by the SELLER. b.The Fee with respect to each sale of a DOMAIN consummated during the Exclusive Sale Period shall be paid by SELLER to BROKER from escrow or by wire transfer within 2 business days of receipt of funds by SELLER. 5.ERRONEOUS SUBMISSIONS BY SELLER: If SELLER erroneously submits a DOMAIN to Buyer/SELLER hereunder which SELLER does not, in fact, own or otherwise have the right to sell, and such error is not discovered prior to the sale of the DOMAINS by BROKER, SELLER shall nonetheless be responsible to BROKER for payment of the commission hereunder. 6.REIMBURSEMENT OF COSTS: BROKER shall bear all costs and expenses incurred by it in connection with the performance of its duties hereunder; provided, however, that SELLER shall reimburse BROKER for any reasonable travel expenses advertising expenses directly attributable to DOMAINS that are expressly pre-approved by SELLER in writing and thereafter incurred by BROKER to attend meetings at SELLER's request. Such reimbursement shall occur out of the proceeds of the sale of the related DOMAINS and shall only be due and payable in the event of a sale. 7.BROKER RESPONSIBILITIES: BROKER agrees to use commercially reasonable efforts to secure buyers for the DOMAINS during the Exclusive Sale Period. BROKER agrees that its responsibilities shall be performed in a diligent, competent and professional manner. SELLER acknowledges and agrees that this AGREEMENT does not require BROKER to render services solely to SELLER or to devote BROKER's entire business time and effort to the performance of its duties hereunder. During the Exclusive Sale Period, BROKER shall have the right to act as a sales representative, distributor and/or marketing agent for persons and entities other than SELLER, including, without limitation, persons and entities who are or who may be in competition with SELLER. BROKER agrees to act in good faith and in the best interests of SELLER. BROKER agrees to inform SELLER of all significant offers for DOMAINS. BROKER retains the right to engage other brokers and parties to help sell or co-broker the DOMAINS and the BROKER will pay all fees owed to any such party, if any, out of Fees payable to BROKER by SELLER herein. 8.SELLER RESPONSIBILITIES: SELLER agrees to do the following during the Exclusive Sales Period: Refer all previous, pending, and future inquiries for DOMAINS to BROKER, unless inquiries are directed towards a portfolio instead of an individual DOMAIN; If the Domains are currently parked to add (or replace) on its landing page a direct sales link as the BROKER directs. Provide BROKER with complete and accurate information regarding SELLER and the DOMAINS promptly upon request by BROKER; Assist BROKER in the marketing and sale of the DOMAINS as may reasonably be requested (at BROKER's sole expense unless previously authorized in writing by SELLER); Provide to BROKER such other information and data as BROKER may reasonably request from time to time in order to permit BROKER to perform its duties hereunder; Respond to offers to purchase DOMAINS in a timely manner. Notify BROKER of any letters or Emails typically referred to as Cease and Desist letters or any other correspondence in which third party is claiming any rights in or to one of the DOMAINS, and of any UDRP, or lawsuits related to any one of the DOMAINS, received prior to or during BROKER'S engagement Change DNS settings to BROKER'S DNS servers where a special linguistically driven web page will exist with a link to a bid / interest form to be monitored by BROKER. 9.REPRESENTATIONS OF SELLER: SELLER represents and warrants to BROKER that it (i) has the authority to enter into this AGREEMENT and (ii) has the authority to transfer, good, valid and marketable title to the DOMAINS. SELLER further warrants and represents to BROKER that: 1) SELLER has full right to sell the DOMAINS; 2) the DOMAINS are free of any liens, encumbrances, restrictions, licenses, or security interests; 3) SELLER properly purchased and registered the DOMAINS without committing fraud or misrepresentation; 4) SELLER has no knowledge that any of the DOMAINS infringe the trademark or other rights of any third party; and 5) none of the DOMAINS has been, nor is currently the subject of any litigation, claims, arbitration or other legal proceeding, either pending, contemplated or threatened, nor has SELLER received any notice of any such pending items; SELLER will pay all the renewal fees associated with each of the DOMAINS during the term of this Agreement including any renewal periods. 10.ESCROW: It is anticipated that an established company that provides domain escrow services will be used for the payment and transfer of DOMAINS which includes the BROKER'S escrow service through Bank of America. 11.INDEMNIFICATION: Each Party hereby agrees to indemnify and hold harmless the other Party, its officers, directors, shareholders, employees and agents, from and against any and all loss, damage, liability or expense (including reasonable attorneys' fees and costs), to which they may be put or which they may incur by reason of, or in connection with, any misrepresentation made by the other Party, any breach of any of warranties by the other Party, the other Party's failure to fulfill any of its covenants or obligations under this AGREEMENT, or any trademark, copyright or patent infringement arising out of or relating to the DOMAINS, or in any way arising out of the other Party being a party to, or the other Party's performance of, this AGREEMENT, other than through the other Party's gross negligence or willful misconduct. The foregoing obligation shall exist only if the Party (i) promptly notifies the other Party of such claim, (ii) provides the other Party with reasonable information, assistance and cooperation in defending the lawsuit or proceeding and (iii) gives the other Party exclusive control and sole authority over the defense and settlement of such claim. 12.JOINT MATERIALS: The Parties agree that all marketing materials developed in connection with the services performed by BROKER hereunder shall be the joint property of BROKER and SELLER and neither party shall use such materials after the Exclusive Sale Period without the prior written approval of the other Party. 13.RELATIONSHIP OF THE PARTIES; REPORTING OF INCOME. BROKER is retained hereunder as an independent contractor and nothing herein contained shall create an employer/employee, principal/agent, partnership or joint venture relationship between the Parties. The Parties agree that BROKER shall include all compensation it receives hereunder in its own books or account for inclusion on its own applicable tax return, that BROKER shall be responsible for payment of all income and employment taxes thereon, and that such compensation will not be subject to any offset, employee payroll taxes or other deduction. If The SELLER is a US resident or Citizen SELLER will receive from BROKER a 1099 reporting the gross proceeds received from the BROKER and the parking revenue received by the Broker. 14.CONFIDENTIALITY: Each Party agrees that it shall not disclose the terms of this AGREEMENT to any person or persons except as required by applicable law or compelled by a court of competent jurisdiction. Notwithstanding the foregoing, this Section 12 shall not apply to disclosures made by a Party to its agents, employees and advisors to whom such disclosure is necessary in order to perform pursuant to this AGREEMENT. 15.ATTORNEY'S FEES AND COSTS: In connection with any litigation arising out of this AGREEMENT, the prevailing party, whether SELLER or BROKER, shall be entitled to recover all costs incurred, including reasonable attorney's fees, for services rendered in connection with such litigation, including appellate proceedings and post-judgment proceedings..
16.DISCLOSURES: SELLER and BROKER specifically acknowledge and understand that if either SELLER or BROKER knows of facts materially affecting the value of the DOMAINS, whether said facts are readily observable or not, SELLER or BROKER, as applicable, shall disclose these facts to the other Party. 17.NOTICES: Any notice required or permitted to be delivered pursuant to this AGREEMENT must be delivered by formal Email with relevant documents, or to such other address as the Parties may from time to time designate by notice in writing to the other Party. 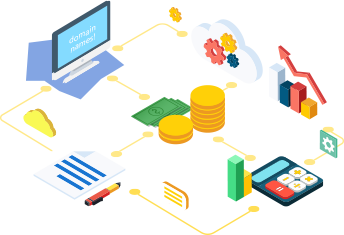 All offers and counter-offers for DOMAINS can be made by Internet email, with the receiving party acknowledging receipt of the email upon reading of the email. 18.GOVERNING LAW: This AGREEMENT shall be governed by, and construed in accordance with, the laws of Broward County, Florida, without respect to its conflict of laws provisions. 19.ENTIRE AGREEMENT: This AGREEMENT constitutes and represents the entire Agreement between the Parties and supersedes any prior understandings or agreements, written or oral, between the Parties respecting the subject matter of this AGREEMENT. This AGREEMENT may be amended, supplemented or modified only upon an agreement in writing executed by all of the Parties. This AGREEMENT shall inure to the benefit of and shall be binding upon the Parties and their respective successors and assigns. If any provision of this AGREEMENT shall be determined to be invalid, void or illegal, such provision shall be construed and amended in a manner which would permit its enforcement, but in no event shall such provision affect, impair or invalidate any other provision in this AGREEMENT. 20.HEADINGS FOR CONVENIENCE: As used in this AGREEMENT, captions and paragraph headings are provided solely for convenience and shall not be deemed to restrict, limit or interpret the meaning of the text. 21.COUNTERPARTS: This AGREEMENT may be executed in one or more counterparts, each of which shall be deemed an original, but all of which together shall constitute one and the same instrument. Photocopies, signatures reproduced by mechanical, digital or other means, and/or facsimile transmittal signature pages may be used instead of originals. Please read and agree to the Brokerage Terms & Conditions. Premium Domain Names are domains that are one-word, two-word, or very short (combinations of two or three letters or numbers). These kinds of domain names are more valuable because they have high visibility, are easy for customers to remember, and thus are easier to associate with your brand. Even if the domain you want is owned by another person or company, it still may be available for sale. The owner and registrar of a premium domain name can be located anywhere in the world. The owner could be a Fortune 500 corporation located in the United States, an individual person living in Hong Kong, or a domain investor managing a portfolio of domains in Europe. Whatever the case, we can track down the decision maker and find out if the domain name you want can be purchased. We are experts at helping businesses like yours find and acquire the perfect premium domain name.